The Honda Civic is the original sporty compact. Other vehicles have attempted to combine fun with versatility, yet none have succeeded in the way that Honda has with the Civic. The Honda Civic comes in a coupe as well as a four door sedan, yet nothing is sacrificed with either. From the sensible base model to the sport-inspired SI, the Honda Civic has something to offer all San Antonio drivers. The Honda Civic, while small, comes with extensive space and is able to fit multiple passengers and an abundance of cargo. Visit Fernandez Honda in San Antonio today and schedule a test drive in one of our Honda Civics. Although there were no updates to the 2018 Honda Civic, it still has much to offer. There are three body styles offered: a coupe, hatchback, and sedan. In addition to the standard models, two performance-oriented variants are available: The Civic Si and the Civic Type R. There are a plethora of trims, including the Civic Touring. The Touring comes with full LED headlights, heated outboard rear seats, and more. Regardless of body style or engine, the Honda Civic has one common theme: a good ride. The Civic sedan is more formal and aggressive than previous models, but still maintains its allure. The infotainment features Apple CarPlay and Android Auto functionality, as well as a 7.0-inch touchscreen system. Navigation and SiriusXM radio are also featured. The Honda Civic has gone through many transformations culminating in the modern, cutting-edge, and budget-friendly Honda Civic that we see today. The original Civic rolled off Honda’s production line in 1972 in Japan only. This Civic included a hatchback, a sedan and even a station wagon variant. This Civic carried the same design ethos that today’s Civic carries even though today’s Civic is much larger than the original. The Civic was designed to be a small, economical car with strong gas mileage and ample room. Honda carried this idea over the course of 40 years and ten generations. The design changing drastically with each following generation. The Honda Civic has been one of Honda’s most celebrated and successful cars. 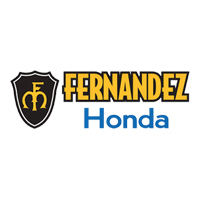 Fernandez Honda has the widest variety of Honda vehicles in the San Antonio area. We continuously stock a deep catalog of new Hondas and used vehicles. We offer incredible customer service with big smiles and even bigger deals. We’ll provide you with the best car buying experience in Southern Texas! Visit us today at 8015 IH 35 S., San Antonio, TX 78224.